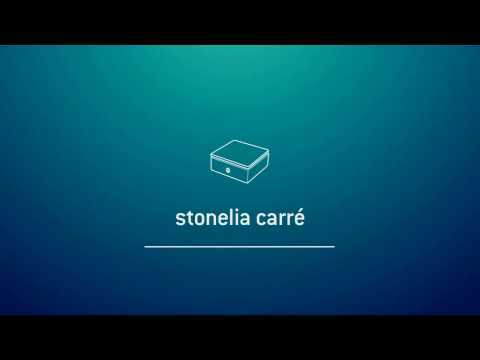 The Stonelia Square is a gentle heat essential oil diffuser. It comes with a low-temperature thermoregulated ceramic specially adapted for diffusing essential oils and natural household fragrances. The Stonelia Square is designed so as not to adversely affect the quality of your essential oils and thus preserve all their benefits. It has an integrated timer to automatically turn off the diffuser at the end of the cycle. This diffuser produces no noise for optimal comfort. To create an atmosphere by perfuming your room, this product slowly, effectively and silently diffuses fragrances into the air. This diffusion is accompanied by a gentle light that’s both soft and warm. Its shape and sober colours will blend in with a wide range of interior designs. Made of noble, natural materials, this wood and porcelain diffuser is as refined in its outline as in its use. You can also use it to heat massage oils before use. No assembly is required. The Stonelia Square comes in one single piece. Pour a few drops of essential oil onto the thermoregulated ceramic base. Connect the power adapter to the diffuser. Touch the logo on the wooden base with your finger, and the diffusion and soft lighting is activated. Unplug the diffuser; you can clean it using a cloth impregnated with diffuser cleaner to remove excess essential oils while still warm for easy cleaning.